Tranquil Mammoth: TranquilMammoth.com has a new banner!? I can't click 'Tundra' or 'Tar Pit' because I'm split. Is there a middle choice preference? Like, 'Floating Glacier'? Don't get me wrong- I don't think that it's ugly. I like the banner and the choice of font. It seems like the thin, sans serif fonts are really trendy right now, so hi5 for that. Overall, it's more visually appealing than the old one with the helicopter, but I have a small bit of advice that would make this banner tundra material. There is kinda a big gap between the mammoth and the title- maybe add something in there to create a flow, something to aid the eyes across the banner. Try using a larger mammoth and place it so that only the eyes and tusks are visible. The tusks will draw a visual path to the title. You could also make a solid blue line (in the same color of the font)going from the mammoth to the other side, underneath "Tranquil Mammoth" so that it will also function as an underline. I really do think all good conversations start when someone comes up to you and says "so I was creeping Google street view..." OR "Yah, I was abducted by aliens, they..."
The new banner is totally tundra. I think that out of all the banners you've had, this one is totally the best. 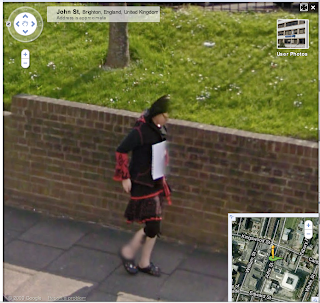 Also, creeping google street view is pretty great. One time me and my friend decided to try to take a road trip to LA on it, but then we got bored somewhere in Western Kansas. "LET'S DO THE TIME WARP AGAAAAAAIN!" This is the address for the Fillmore Charlotte, where you played on the 13th. This is another time warp, but it is of buildings. 884 Hamilton shows the building before it was the Fillmore. Click to the left and it shows the building as the Fillmore presently. Click one more time to the left and it goes back to pre-Fillmore times. I like the new banner. It has zazz. The new banner is awesome. Tranquil. I likey. So, about the Tranquil Mammoth...What is it exactly? Are YOU a tranquil mammoth? Is it your spirit animal? Do you aspire to the noble, calm greatness of a tranquil mammoth? Or am I overanalyzing this? I just always wonder about people's usernames and how they got them. Mine popped into my mind when I was in the shower. I just wanted to inform you about these new vegan shoes because they are not only vegan (obviously) but also for a good cause and I assume that you and the rest of the guys would love them. I apologize if you already know about them. They are called TOMS shoes. They are based on a one for one philosophy. For every pair that you buy, they give a pair to a child in need. Not to mention they are ultra stylish, especially the vegan styles! No. I do not work for TOMS. Just in case you were curious.